It’s cold season, so everyone tries various lotions and potions to either prevent the common cold or, at least, to reduce the course of the disease. Alternative medicine’s favorite disease to treat is the common cold, mainly because it’s an easy disease with not too many consequences. Also, it’s very subjective, since the patient has a difficult time making an accurate determination of the length and severity of the attack. Confirmation bias is usually the reason one hears that something works for the cold. They forget all the times it doesn’t. Or completely misjudge the actual effects of any treatment. Echinacea. “Beneficial effects of other Echinacea preparations, and Echinacea used for preventative purposes might exist but have not been shown in independently replicated, rigorous RCTs (randomized controlled trials” via Echinacea for preventing and treating the common cold | Cochrane Reviews . In other words, despite the claims that echinacea works, there is no proof that it does. Vitamin C. “The failure of vitamin C supplementation to reduce the incidence of colds in the general population indicates that routine prophylaxis is not justified” via Vitamin C for preventing and treating the common cold | Cochrane Summaries. Garlic. “There is no information from randomised controlled trials about whether taking garlic at the time of a cold reduces either symptom severity or the number of days of illness” via Garlic for the common cold | Cochrane Summaries. Zinc. 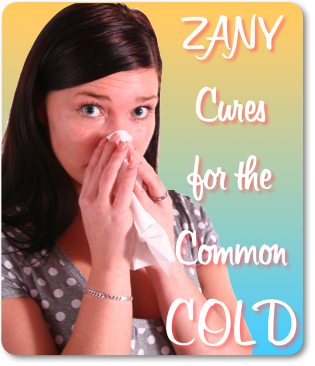 “Zinc administered within 24 hours of onset of symptoms reduces the duration and severity of the common cold in healthy people. When supplemented for at least five months, it reduces cold incidence, school absenteeism and prescription of antibiotics in children” via Zinc for the common cold | Cochrane Summaries. That sounds positive, except that “we are concerned that the potential threats of such biases in the review have not been considered carefully enough. We therefore feel that readers should be cautious in their interpretation of the evidence presented in owing to the possible threat of reporting and publication biases on the results of their Cochrane review” via Are we sure about the evidence for zinc in prophylaxis of the common cold?–Expert Review of Respiratory Medicine . Since the evidence seems to be somewhat equivocal, it would appear that taking zinc for the cold couldn’t hurt. However, “the FDA has received more than 130 reports of loss of sense of smell associated with the use of these three Zicam products. In these reports, many people who experienced a loss of smell said the condition occurred with the first dose; others reported a loss of the sense of smell after multiple uses of the products.” In other words, zinc has debatable efficacy, yet may destroy your sense of smell. That’s a bad benefit to risk ratio, especially since your sense of smell is critical for everything from determining if your food has gone bad to being warned of a natural gas leak. Chinese medicinal herbs. “The risk of bias was so high that the evidence did not support using any Chinese herbal preparation(s) for the common cold. Well-designed clinical trials are required” via Chinese medicinal herbs to treat the common cold | Cochrane Summaries. So, what does work? Right now, not much. The disease just needs to run its course. Previous PostPrevious LeRoy neurological illness mystery–update 3–is it conversion disorder?